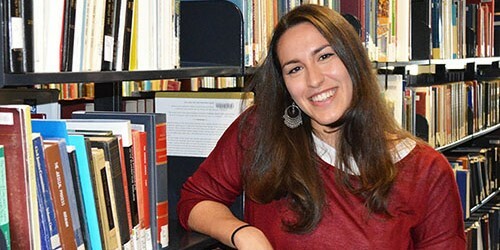 The Italian student made the decision based on MLS's standing as one of the world's top law schools, ultimately convincing her to cross the globe to further her education. Now nearing the end of her 12-month degree, Ms Gai said it was one of the best decisions she had made. "I have loved it. I love Melbourne and have tried to stay here. I have been to Sydney too but I prefer Melbourne," she says. The 25-year-old says one of the main differences between studying in her home country- she undertook a five-year undergraduate law degree in Trento, northern Italy – and her Masters was the intensive teaching method. "It was not something I was used to," she says, "so it was a challenge for me." "I have had to concentrate for hours in another language so it is kind of a struggle but it has worked fine and I think it has ultimately been quite good." Another notable difference here is the relationship between teachers and students. "In my country, there is a hierarchy between teacher and students whereas here they are always willing to help you, not only with your research but also with adjusting to life in Melbourne," Ms Gai says. A highlight of her time at Melbourne was being a part of the mentorship program, in which she was paired with a lawyer from Slater & Gordon who had also studied a Master of Health and Medical Law; a "perfect match." "It's something really helpful because you sometimes need someone who is not a teacher, who is not from the academic environment, someone you can talk to," she says. Another perk of studying at MLS, Ms Gai says, is the feeling of community she did not sense at her home university. "I love the fact that it is really multicultural. I've made friends from all parts of the world. Everyone is so accepting," she says. Upon her return to Italy later this month, Ms Gai will attend a number of interview rounds with various law firms, mainly in Milan, but ultimately wants to work in London in her favoured area of life science law. Visit the website for more information about the Master of Health and Medical Law.